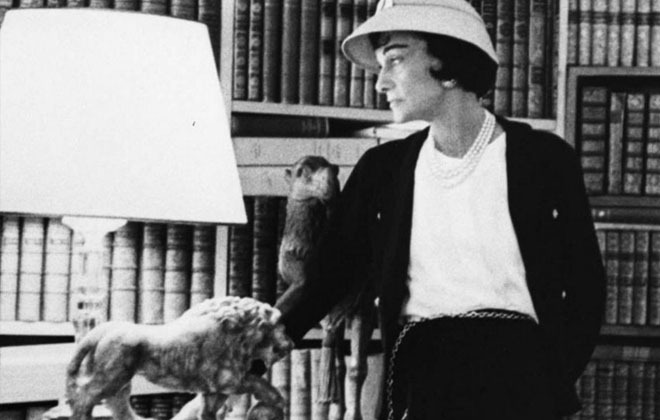 Did you know that Coco Chanel was a Leo? Neither did I, and why would we, right? 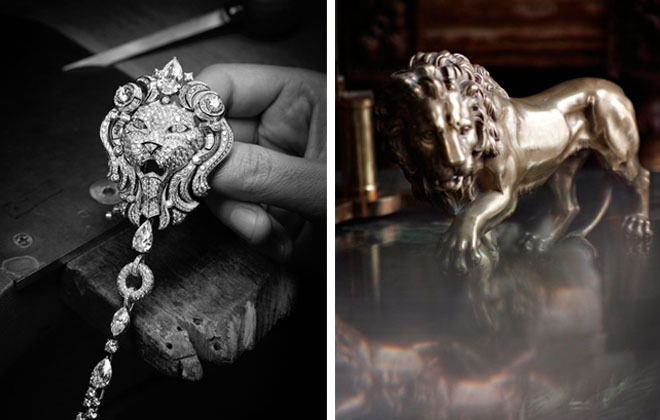 Reason I even ask this of you is after falling in love with the Sous le Signe du Lion collection, I found that the lion was much more than a visual inspiration for the iconic designer. For Coco, it was a symbol, an attitude, a lifestyle. The lion is also the symbol of the city of Venice, where Coco traveled after the tragic death of her lover Boy Capel in 1920. Viewing the winged lions all around the plazas and churches in the city, she was filled with a sense of strength and independence. The amazing Coco Chanel. Please note her lion statue in this pic. All pics from Chanel Joallerie. 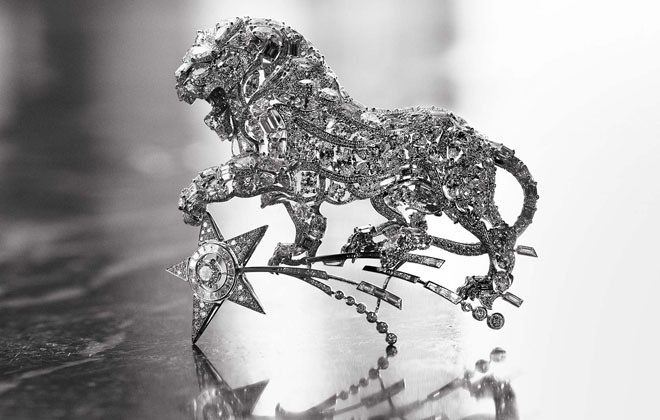 The stunning jewelry and the lion from Coco Chanel’s apartment in Paris on 31 rue Cambon. Inspired by the beauty and opulence of Venetian style, along with Coco’s reverence for the majestic animal, Chanel created their signature collection of high jewelry to embody the fierce, passionate spirit of the lion, along with the haute couture style of glittering city. The Sous le Signe du Lion collection, which launched in 2012, also draws inspiration from Byzantine mosaics prevalent throughout Venice, with highly detailed diamond and gemstone constructions that are absolutely dazzling. It’s so pretty and a bit fierce, isn’t it? 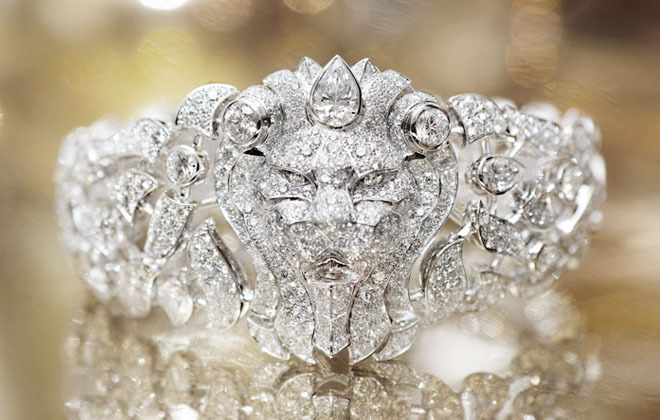 The pieces in this collection might be the most jaw dropping jewels I’ve ever seen: rings, brooches, earrings and necklaces with roaring, leaping lions created almost entirely out of diamonds and precious stones. If only I could figure out how to get my hand on some of these masterpieces! I love a good story behind anything as you all know and this story really touches me in addition to these pieces being such a gorgeous piece of fine jewelry. So much more interesting than just being an expensive, pretty piece! Well done, Chanel.